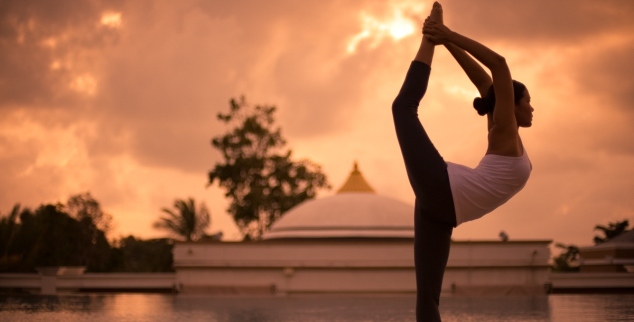 From Ashtanga to Yin Yoga, Pranayama to Ayurveda, our luxury yoga retreats offer the best in holistic wellness experiences for the mind, body and spirit. With stunning locations in Morocco, the Philippines and more, our retreats offer everything from daily yoga classes to contemplative meditation and philosophic dialogue. Stretch your muscles, improve your flexibility, and unwind towards a sense of complete tranquillity on one of our 10 best luxury yoga retreats. Set on a private beach overlooking the ocean, the yoga pavilion at Paradis Plage is a breath-taking wooden construction with panoramic glass windows giving you an unparalleled view of miles of stunning coastline. 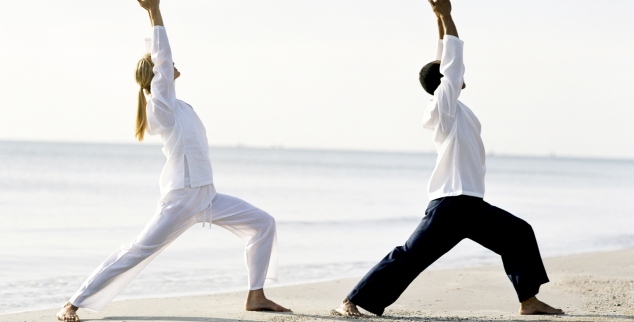 The resort offers 3 daily classes from Sunrise to Sunset yoga including sessions aimed at beginners and seasoned yogis. In addition to group activities, improve your practice with a private 90 minute yoga lesson with Paradis Plage's resident teachers during your stay. Make the most of the resort's coastal location and partake in a wide array of holistic activities from beach walks and circuit training to beach volleyball and water sports. Home to a RipCurl sponsored Surf Club; you can take to the waves and get a full body workout before relaxing with a fruit smoothie in the beach-front lounge. Famed for their world-class spa amenities and indulgent therapies, relax and rejuvenate with an extensive menu of healing treatments at Absolute Sanctuary, Thailand. On this yoga retreat, you are free to attend unlimited yoga classes with up to 25 lessons taking place each week in their charming studios. With a range of disciplines from Ashtanga to vinyasa, and Hatha Yoga to Pranayama, you can enjoy your favourite styles guided by expert yogis. 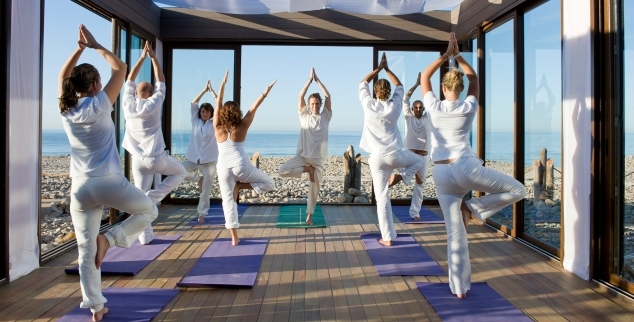 Find your spiritual and physical balance with the help of Absolute Sanctuary's extensive yoga programme including sessions in their Ocean Studio, which provides breath-taking panoramic views of the sea. 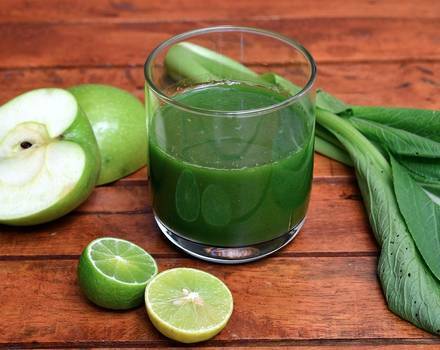 If you are looking to detox, look no further than the resort's superb restaurant which serves up delicious super-food creations to re-energise and refuel you inside and out. This award-winning Thai retreat is famed for its all-encompassing approach to wellness, which immediately becomes apparent on its holistic yoga programme. With complimentary attendance to daily yoga classes and private training, as well as Meditation, Pranayama (breathing) and Ayurvedic massage, you can work on your well-being no matter what your preferred style. Enjoy 1-on-1 sessions with a trained Master and restore your balance, both physically and spiritually. The combination of ancient healing traditions and organic ingredients used in both the spa treatments and nutritious cuisine nurture your body, mind and spirit to a state of pure calm. 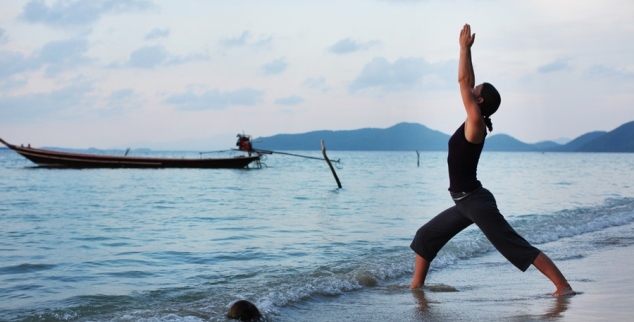 This hidden gem on the southern coast of Koh Samui is the perfect setting for a spiritual overhaul and offers complete physical and emotional wellness courses with chances to engage in yogic practices as well as personal training and other holistic activities. Samahita's dedicated yoga retreats teach everything from authentic Pranayama and asana to meditation and ancient philosophies. Samahita offers 5 core retreats including; Restore & Relax, Breathe & Meditate, Align & Flow, Strengthen & Balance, and Philosophise & Harmonise. 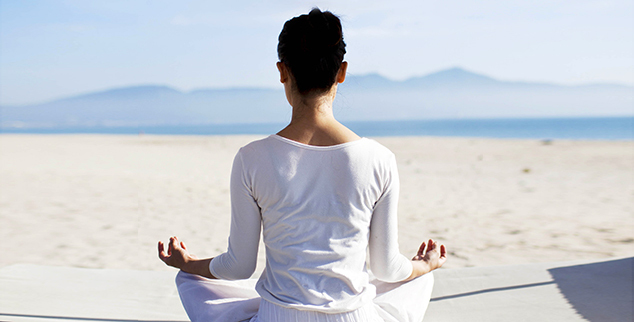 Each has its own specialised focus and is taught by a resident yoga teacher. The retreats also boast guest speakers and lecturers from around the world who come to Thailand to teach and pass on their spiritual wisdom. Observe the naturally impressive mountains of India at Atmantan Yoga. You will discover the art of inner peace, relearn ancient practices, and be guided away from distractions during private yoga sessions. Build a strong core and improve muscle tone and posture as instructors guide both beginners and expert yogis alike. Revitalise in the natural gardens, where you can meditate and practice mindfulness. The subtle incorporation of holistic treatments such as Ayurvedic and pranic healing, will help to realign senses, rejuvenate the body, and reconnect with your inner calm. 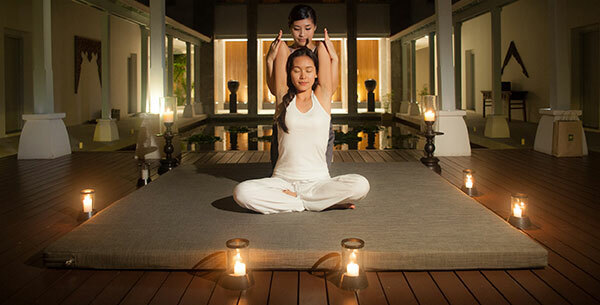 Kamalaya is an award-winning destination spa that boasts flawless service with an extensive range of wellness programmes. The resort is built around an ancient cave, once inhabited by Buddhist monks who came to the island to live a hermit-like existence devoted to meditation. This cave is said to be the basis of Kamalaya's healing qualities, and you can visit it to engage in quiet contemplation and experience its spiritual aura. Perfect for beginners and experts alike, this Yoga Synergy holiday includes 6 private yoga sessions so you can focus on perfecting the basics or advancing your practice. Scheduled daily activities include meditation, Tai Chi and group yoga sessions, which you are free to enjoy on a complimentary basis. 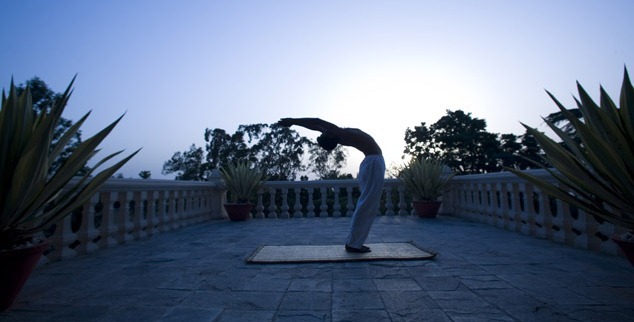 In the birthplace of yoga, Ananda offers a full spectrum of yogic disciplines including private Pranayama, Yoga Nidra and Ajapajapa sessions, all taking place in the resort's stunning outdoor amphitheatre. Explore a range of ancient Ayurvedic practises and personalise your yoga classes to include your favourite styles and sequences. Twice daily holistic group classes are also available to help restore physical and spiritual health. The resort's wellness approach extends to its culinary experiences, where diets are customised to the guest'sAyurvedic body type. Enjoy a delicious menu of healthy offerings designed to suit you and help you achieve your health goals. 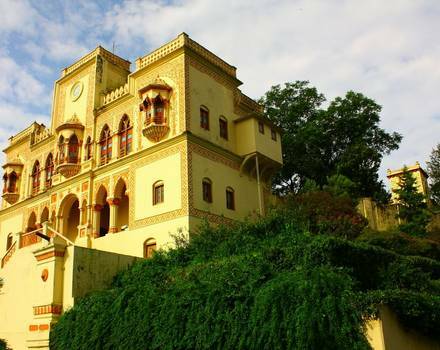 Compliment your meals with a refreshing cup of tea at Ananda's Viceregal Palace with its majestic colonial charm. An all-encompassing spiritual experience, the Parrot Cay Yoga Retreat boasts idyllic daily yoga classes on their private beach, facing the awe-inspiring immensity of the North Atlantic ocean. The retreat also plays host to Vedic group discussions, which are an amazing way to immerse yourself in yogic philosophy and tradition. Engage in a range of both active and contemplative practises and find yourself spiritually. This health and well-being retreat also offers an amazing spa experience with an exclusive treatment list that makes use of its world-class amenities including Japanese baths, an outdoor Jacuzzi garden and a 1300sq ft. yoga studio. Teaming yoga with cardiovascular fitness is a great way tolose weight, so take advantage of Parrot Cay's health centre and daily group activities to slim down and tone up. 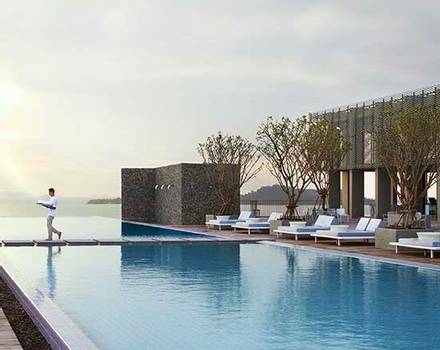 Take in magnificent views of Vietnam, home to the world’s most beautiful beaches. Fusion Maia focuses on a tradition of 7 daily practices; Uplifting, Refreshing, Energising, Nourishing, Balancing, Calming and Awakening. You will be guided through a journey to improved wellness, as each dynamic activity and luxurious treatment is tailored to meet your specific needs. Try authentic spring roll making, or learn Vietnamese. Take a boat trip and appreciate the magnitude of the surrounding beauty in guided yoga sessions, and unwind in the evening with a beach-front Tai Chi lesson. Calm your mind and re-energise your body through meditation and spiritual practices with the dedicated yoga programme at the award-winning Chiva Som in Thailand. Team private yoga sessions from disciplines including Hatha, Ashtanga and Vinsaya flow, with complimentary daily massages and healing water therapy treatments. The resort has a holistic approach to wellness that covers everything from their all-embracing yoga and Pilates classes to the staff's personable and attentive manner. Chiva Som also offers a wealth of fitness classes and unique leisure activities for their guests including hiking, beach biking, fruit carving and catamaran sailing. A health and wellness consultation will provide you with all the information and advice you need to pursue a healthier lifestyle. If you’re still in search of the right destination for you, explore our collection of worldwide luxury yoga retreats offering healthy eating options from raw and vegan, to alkaline, macrobiotic and Ayurvedic personalised diet plans. Talk to one of our Travel Specialists on 1300 551 353 or contact us here to discuss tailor-making your perfect luxury yoga retreat.